Then go to File Manager. In Kodi 17, File Manager is still located in SYSTEM. After Config Wizard is finished, press OK and restart Kodi. Once Kodi is re-launched, go to Add-Ons. Select a TV addon, then select a category and a movie / show! Install a Kodi VPN to make sure your ISP can’t see what you’re streaming. Or stick with Kodi Krypton and try out one of several Kodi 17 Builds. Do Kodi 16 TV Addons work in Kodi 17? Yes! I just tested this, in fact. I had Kodi 16.1 Jarvis installed on my Fire Stick. Then I installed Kodi 17 in place of Kodi 16. After that, my old TV Addons “imported” into Kodi 17 just fine. I was immediately able to watch a few good movies in SALTS, Velocity, and 1Channel. To clear data in Kodi (aka Reset to Factory Default settings), do a “Fresh Start”. Fresh Start can be installed using the Fusion Installer – just install the “freshstart.zip” file using the Fusion Installer instead of the usual “configwizard.zip” file you choose when installing Config Wizard. From the Kodi home screen, go to Add-Ons. Then select an add-on and use the add-on’s menu to select a category, then select a Movie / Show / Channel, then choose a source and begin streaming! Hello, have you tried to completely clear everything out of Kodi first (ex: https://kodifiretvstick.com/kodi-pair-fix/ )? If this is happening with a clean installation of Kodi, then it sounds like you should re-install Kodi. Otherwise, it could just be a series of TVAddon servers being down. Have you installed a Kodi build yet ( https://kodifiretvstick.com/kodi-17-1-best-builds/ )? Users generally get good results and high rates of success by installing a Kodi build. Yeah, I tried all different builds and none of them are playing live tv or sports. I been doing my research and i cannot find anything pertaining to Live TV not working. What’s going on? Why can’t I watch Live TV or PPV? Hey Tyler… thanks for letting me know. I wrote an install guide for the new Sports Devil 2017 yesterday that sounds like it may take care of this issue for you. 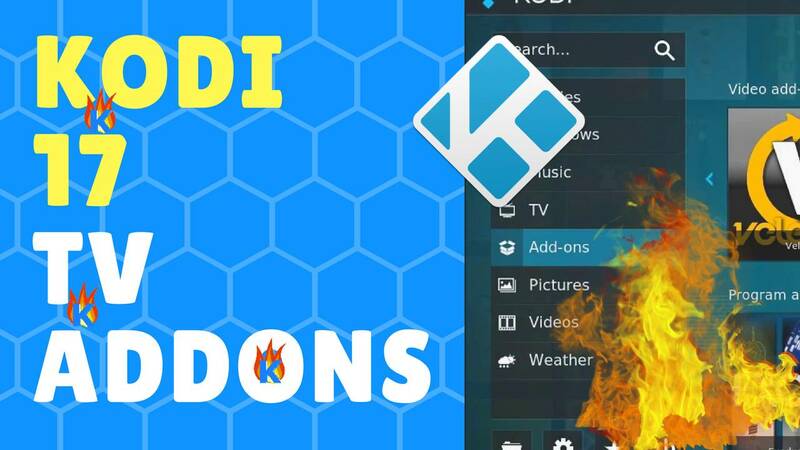 Updating to the most recent versions of some of the Kodi addons is very necessary as many become blocked after a period of time by service providers and require workarounds. Let me know if this takes care of things for you and if there is anything else I can do. Enjoy! Hey Alice, thank you. During the process of tv add ones I hit enable debug logging should I let it continue? Hey, you’re welcome, Brett! The debug log is simply a text file that is saved by Kodi/XBMC to keep track of information in case of an error that is hard to trace. In this case, it may be helpful down the road, but you can jump in here and get help when something quirky happens. The log file might help, but really isn’t necessary in most cases. To answer your question, though, it really doesn’t matter all that much if you allow it to be created or not. I hope that answers the question to your satisfaction.